As part of our tour of Declaration we invited audience members we met along the way to share their responses as part of a series of guest blogs. Our second guest writer is Andrea Bell, founder of ADHD Norfolk who shares her experiences of watching Declaration and joining our workshop for ADHD young people. Andrea Bell founded ADHD Norfolk in 2007. She formed the organisation after seeing the lack of services available to those with ADHD in Norfolk. ADHD Norfolk’s vision is for those with ADHD to get both the support and respect they deserve so that they are not limited by the symptoms of ADHD. ‘Words really do fail me when I try to explain how I felt watching Declaration. It was amazing and real. It was funny, emotional and serious all in equal measure. It delivered a powerful, hard hitting message on how neurodiversity & mental health, is so easily dismissed resulting in often devastating consequences. When Sarah dressed up in her pink dress and acted as society “expected’ her to by sitting still and listening… the pain and discomfort depicted in the show resonated with me very deeply and has stayed with me. Working many years in the ADHD field battling to raise awareness and attempting to diminish the horrific stigma attached to it. Seeing a theatre show come to our region and it being sold out was monumental for our region. 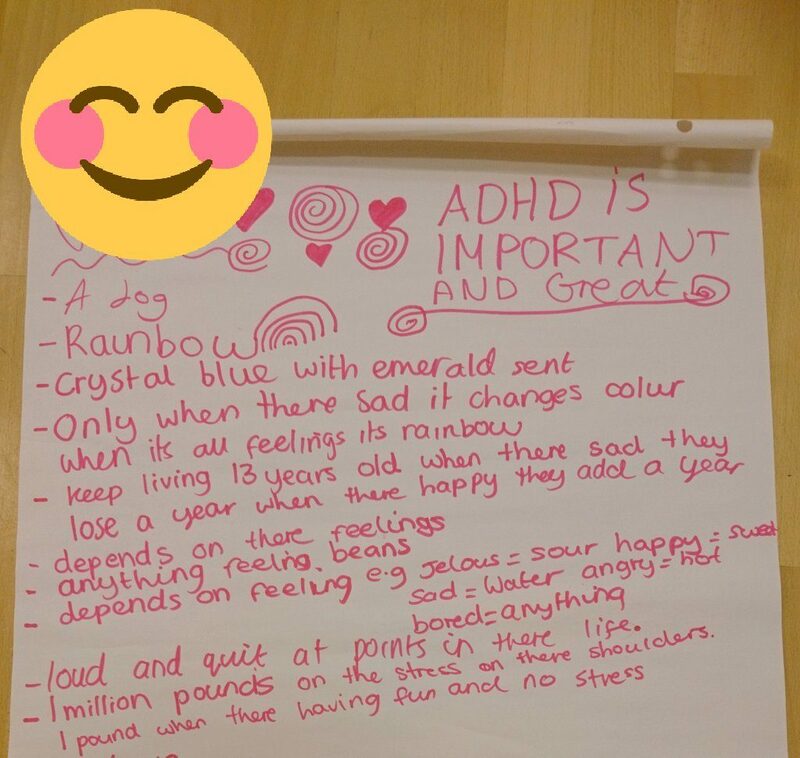 Families of those with ADHD were there and clinicians from local ADHD services also attended which was brilliant for their personal development – a new modern way to understand the reality of the clients that they deal with instead of just theory. For me, the representation of women with ADHD was life changing. I have worked in the ADHD field for 11 years now and understand it extremely well. I train people on it, coaching people with however seeing it acted out in front of you in Declaration was a whole new level. I felt vulnerable, emotional but I knew that there were lots and lots in the audience that had ADHD and felt the same. ADHD has and is always looked on as a young boy with loads of energy and many, many people still think girls don’t have it. Having a woman perform Declaration was extra brilliant as not only raising ADHD awareness but that girls are affected too! Both my sons came to see Declaration, they are aged 14 and 16 and said they loved it and found it hilarious as it reflected our lives at home as they have ADD & ADHD. They also laughed at how the show could have been about me! My 14 year old Elliot stated “That it was nice to see grown ups with ADHD and having fun with it as it is usually miserable in reality. It lets people know it’s real and does exist”. The ADHD workshop Art with Heart ran for the young people at ADHD Norfolk had a huge impact. We had a mother in tears because her son went in to the workshop hating ADHD and came out at the end loving it!! The problem is these youngsters really enjoyed the workshops. We need more! The beauty was that they could move as they liked and participate as much as they wanted. They made the decisions and all of them enjoyed it in their own way. A lovely couple approached me and said the had travelled miles to attend as their daughter was so clingy and shy they doubted she would even enter the room! By the end she has entered, stayed and laughed. Her parents were over the moon! 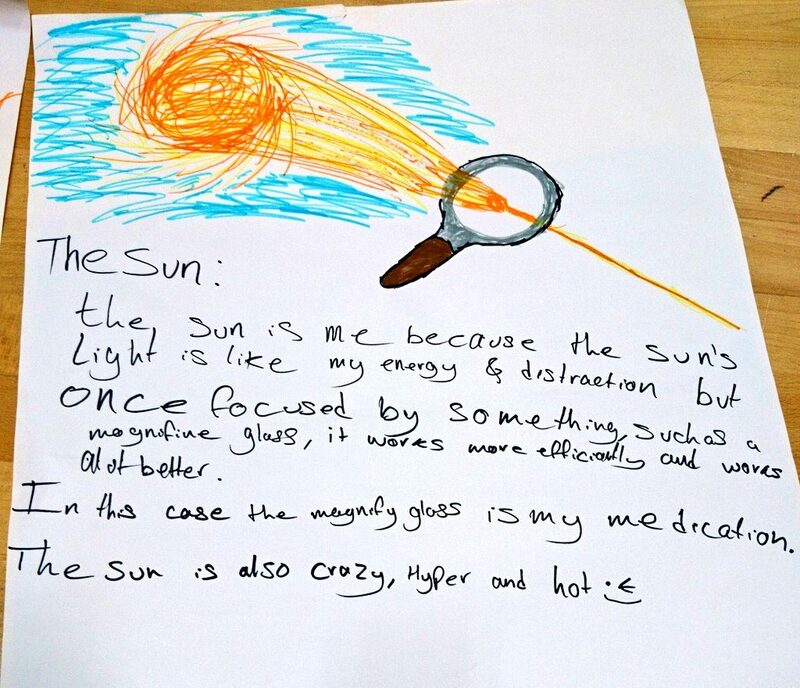 Discover more about ADHD Norfolk and Andrea’s work here.